Yoga Enthusiast, Business Owner, and 200-E-RYT, Sarah Bunger Horne. Sarah is the Founder of Hanover Yoga, Virginia Tech graduate, and native of Mechanicsville. She has been practicing yoga for over 9 years and teaching for 6 years. She studied the art of yoga through a comprehensive, inspirational, and personalized yoga course in Cahuita, Costa Rica at The The Marianne Wells Yoga School. After graduating from the program, she is now registered through the Yoga Alliancein the USA (200-RYT). She formerly taught Vinyasa and power yoga classes at Uttara Yoga Studio in Roanoke, VA, and since 2015 has opened a studio in Hanover, VA to deepen her practice, study the anatomy of the body, to meet other yoga instructors and like-minded people, and share her experience as a yoga practitioner. Her approach to yoga is to quiet the mind to reduce stress, and to create balance and alignment within the body to prevent injuries and increase overall health. Sarah teaches Vinyasa and Ashtanga Yoga classes at the studio. Sarah is also available for private yoga sessions. Mera began practicing yoga in 2008 but was called to teaching in 2015 after learning yogic philosophy from her teacher Al Abbott. She attended teacher training at the Integral Yoga Center of Richmond and Satchidananda Ashram under her teacher Nora Vimala Pozzi and her primary mentor Nitika Achalam. She’s deepened her practice and teachings with particular inspiration from her teacher J Miles. Mera’s classes are light hearted, fluid and warm with an emphasis on alignment and self expression. She has a special interest in creative flows and studies Iyengar alignment. Modifications to advance or soften can always be explored. Special populations are welcome and supported here. 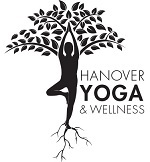 Mera has taught over 1,000 hours at Hanover Yoga and with special populations. She is Yoga Alliance E-RYT200 and a certified Integral Yoga Teacher. She’s so grateful to this community for allowing her to share and serve. Spiritual seeker, wife, friend, Project Yoga Richmond Ambassador, native of Richmond, and 500-RYT, Billie Carroll. Billie has had an on and off again love affair with yoga for the past 30 years. She considered herself married to yoga when she got her first certification in 2015. She has traveled to the birth place of yoga in Rishikesh India to study Sattva Yoga with one of the most respected yoga gurus of our day Anand Mehrotra. Her passion is making the healing power of yoga accessible to all. She works with diverse sections of the population and her classes are geared for everyone and every BODY. She is certified in Hatha, Sattva, Yin, Restorative as well as Yoga of 12 step recovery and trauma informed yoga. Billie teaches Embrace Your Body Workshops for Women and Yin Yoga at the studio. Improve-tu Comedian and 200-RYT, Lauren Vaughan. Lauren developed a love for yoga during the early years of college. The time spent in a yoga studio helped her to find better way to manage her stress and find calmness in her life. In the fall of 2014 she took a leap of faith and decided to enroll in a 200 hour teacher training program at Zenya Yoga Academy in Newport News, Virginia. Now a Yoga Alliance certified 200 hour yoga teacher, her hope is to help her students find their own peace and clarity on the mat. She aims to create classes that make her students feel strong and confident, and walking out the door feeling happier and stress free. To keep up with Lauren, you can find her on Facebook as “The Twisted Yogi” and her website at http://www.thetwistedyogi.net/. Lauren teaches Hatha Basics at the studio. Musical engineer and 200--RYT, Andrea Stefl. Andrea is a 2016 graduate of YogaWorks 200 hour certification program. She is also a graduate of VCU’s School of the Arts, and is a big believer in the corilation between a strong yoga practice and creativity. Her personal practice, and what she likes to share with others, is all about a strong foundation, and customization! Everyone’s practice is a bit different, and no two bodies are alike, so Andrea is also a huge supporter of using yoga props. As T.K.V. Desikachar once said about his father’s approach to yoga. "It is not that the person needs to accommodate him or herself to yoga, but rather the yoga practice must be tailored to fit each person." Andrea teaches an Iyengar-approach to Hatha Basics (using props to support the body) and Vinyasa Basics at the studio. nice to be able to come to yoga class with compassion for ourselves and a sense of humor. I believe this is what helps to enrich our practice and ourselves. Roz teaches Vinyasa Yoga at the studio. Photographer, School Teacher, nature lover and yoga enthusiast. Ava Massey earned her 200 YTT from her college during her last semester at Ramapo College, in New Jersey. Ava has been practicing since 2010, and what a journey it has been! She has used her lessons from the mat in her educational classroom as well. Ava believes that Yoga is meant to heal the body, build strength in the muscles and to make one feel good. Ava teaches to all levels in her class, giving modifications as well as challenges when needed. Hanover Yoga has been the perfect place to call Home, and Ava is very excited to joining the community. Ava teaches Vinyasa Yoga at the studio. Mechanicsville American Family Instructor, Amazing Mother, Mindfulness Teacher, and 200-RYT, Sherry Klauer. Sherry has been teaching group fitness classes for three years here in Mechanicsville. She is a certified ACE Group Fitness Instructor, ACE Personal Trainer, Spinning Instructor, RRCA Distance Running Coach and a 200hr RYT (registered yoga teacher). Sherry has been practicing yoga for over 10 years and believes that in our fast-paced society nurturing mind, body and spirit is vitally important to maintaining health and happiness. When she isn’t on the mat she spends her time running with friends, experimenting with vegan recipes in the kitchen or camping with her husband and three children. Sherry teaches Mindfulness Based Stress Reduction classes and workshops at the studio as well as other workshops at the studio including Yoga For Runners! Julian J. Payne "Juju" was first introduced through a friend to the style of Yin Yoga in 2007. After developing sciatica Julian returned to his practice of Yin yoga with amazing self healing results.Julian has since continued his practice of this style of yoga and has further pursued his interest by completing his 200 hour yoga teacher training through Karuna Yoga. After completion of his training Julian is continuing his study of Yin, Restorative, and Hatha Yoga with intention to spread these wonderful healing practices to all who seek interest. IyinI yoga is Julian's practicing philosophy of the which he introduces these various styles of yoga through his diverse cultural living practices. Julian also specializes in various sound therapy techniques which is incorporated into his classes. Jantz has been practicing yoga for approximately 10 years. Her love of yoga really began during her first pregnancy and continued to grow through the years practicing Vinyasa, Yin, Hatha and Hot yoga. Jantz began to attend several yoga retreats learning more and loving it more. She finally decided to obtain her 200hr teaching certificate (200-RYT) from Yoga Works directed under Jeanmarie Paolillo. She is fully registered through Yoga Alliance. Jantz graduated from UVA in biology and then decided to pursue a career in physical therapy as a PTA. Her love was with the outpatient neuro population teaching and helping people to readjust to life. Once her first baby arrived Jantz moved on to pediatric therapy and geriatric therapy until she decided to stop and become a full time mom of four. Her children are now 18, 16, 14, and 9 and has been married to her husband Brian for 20 years. Now that her kids are growing up she has found that love of working with people again mentally and physically through yoga. She has taught teenagers, athletes, and adults. She loves practicing with all of them. All having their unique abilities and desires. Jantz likes to start her practice slow gradually coming into each asana stronger until the final Savasana finding stillness and calm. She loves being a part of a yoga studio, being surrounded by those who love yoga too. Being a part of a yoga studio is wonderful not only for those you teach but for yourself to continue growing as a yogi.